Redemptorist Superior General Michael Brehl recently appointed coordinators for the five regional conferences that were created by the last General Chapter in Rome in 2009. 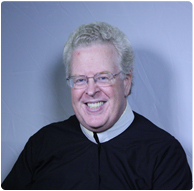 Father John Kingsbury, pastor of St. Mary’s Church in Annapolis, MD, was named coordinator for the North American Conference. Father Kingsbury first professed vows as a Redemptorist in 1975 and was ordained to the priesthood in 1980. His assignments include St. Clement Church in Saratoga Springs, NY; St. Peter & Paul in St. Thomas, U.S. Virgin Islands; Mount St. Alphonsus Retreat Center in Esopus, NY; and Notre Dame Retreat House in Canandaigua, NY. He has also served as rector of the formation residence for Redemptorist students, and has served on the Extraordinary Provincial Council for 18 years. What is a conference? What’s the difference between a conference and a province? Fr. Kingsbury: Currently, we have our General Government in Rome and then the individual Provincial governments. The conference is a middle-level government structure that will include a number of provinces. We hope the conference will be a useful tool in helping us discuss some of the broader issues facing the Congregation. What is a conference coordinator? Is this an additional responsibility to your existing assignment? Fr. Kingsbury: The conference coordinator is a full-time position. I’ll go to Rome for some training, but my office will be a virtual one. I’ll be traveling a lot to meet with various groups, and thanks to modern technology, in many cases I may even be able to be present at meetings without being there physically. As the coordinator of the North American Conference, I’ll be working with Redemptorists from the United States, Canada, and the English-speaking region of the Caribbean. My role will be to participate in these broad discussions about our ministry and our structures. As we move toward making decisions, my role will be to gather the conference together in an assembly (comprised of the superiors of the provinces, vice-provinces and regions, as well as province vocals, or delegates). As chairman of the assembly, I’ll facilitate the decision-making process and then present the assembly’s recommendations to the General Government. What will the conference do? Fr. Kingsbury: The conference will look for ways we can work across province boundaries in various ministries (social justice, communications, outreach to the poor, parish missions, etc.) as well as ways we can strengthen our formation programs, how to support weaker local units that may be struggling, in short how we can best fulfill our mission as Redemptorists with the resources we have available. Some of this has already happened on an informal level. We already have a shared novitiate. Last fall, Redemptorists from several units participated in a regional mission in Grande Prairie, Alberta, Canada. The conference’s purpose will be to coordinate all this and help make this a more permanent discussion. What are you looking forward to about this new position? What are some of the challenges you’re facing? Fr. Kingsbury: Each province has specific ministries that are unique to it, and normally the province would staff those ministries with its own personnel. But under this conference model, we’re opening up the possibility of drawing on the talents of other Redemptorists who might be able to make a unique contribution. One challenge, of course, is geography. There are a lot of challenges to consider, but we can solve them and we can listen to what the Spirit is calling us to beyond what we’re doing at this moment. Where we’ve done this successfully, it’s so powerful. If we can put the effort into this to really develop these ideas, this is going to be awesome.